We would love to talk to you about any private parties you may be planning. The Bell has three separate self contained rooms available to hire for parties and functions, all with their own toilets. We can organise anything you may wish, from a big lunch or dinner party to evening parties with a buffet or canapes, as well as hiring out the entire venue as a whole with bands and DJs. 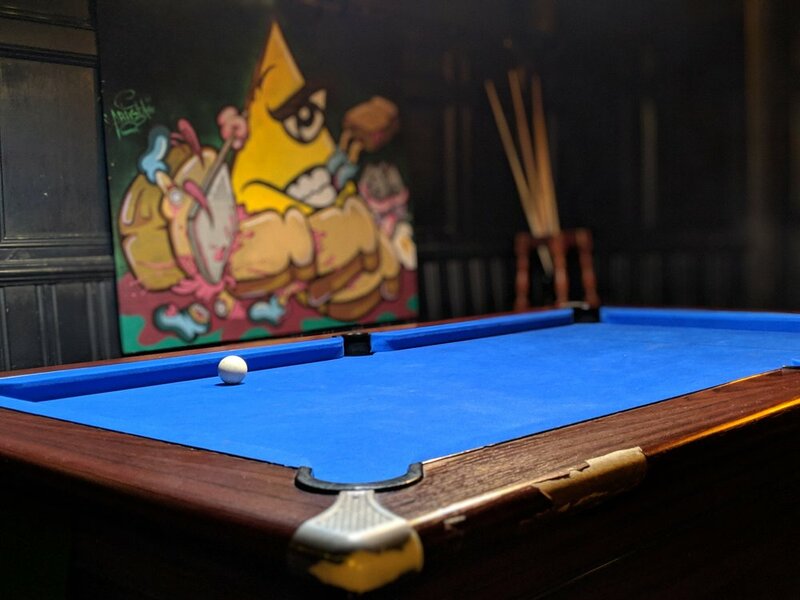 Our Games Room, located in the basement, has a pool table, darts board and table football and is perfect for up to 35 people. Contact us with enquiries or to book. Please note this is an enquiry form only, and we will be in touch to discuss your booking.